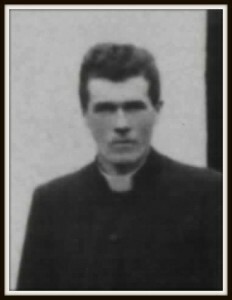 GL3 Cannon Michael Costello, Kilsarcon & Millstreet 1898-1967. Michael is buried on the grounds of the parish Church at Millstreet. John rests at Harpers Ferry beside the Mississippi USA. Cannon Michael Costello B1895 DJan1967. 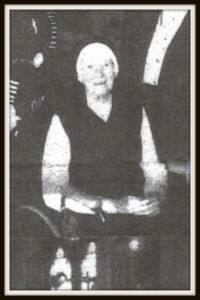 Michael died within one year following Tim and Eleanor Hannon's wedding in Skibbereen in 1966. He was a scholar too. His contribution to the History of Millstreet is evident in Notes he prepared with Pádraig Ó'Maidín. CLICK HERE to Read Notes ON THE HISTORY OF MILLSTREET. Forward to this BOOK THE HISTORY OF MILLSTREET. 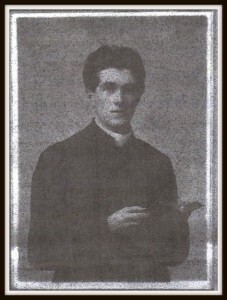 : Canon Costello was Parish Priest of Millstreet from 1955 to 1967. The following are notes that he wrote on the history of the parish. The copybook is entitled "Parish of Millstreet - Liber Chronicus". It is mainly a historical outline of the parish. The handwriting in a few places is not too clear as the notes were sometimes jotted down as shorthand references. I have given as footnotes some items presented as "glosses" in the manuscript. His notes generally cover a) Churches and Clergy, b) Convents, c) Schools, d) general history of Millstreet, e) the Big Houses, f) the economic history of the parish. While these sections are generally treated separately in his copybook, I have arranged them in chapters in this transcript. Any notes or comments added by myself or others have been placed in square brackets. By: Monsignor Michael Manning, P.P. V.G., The Presbytery, Millstreet Town, Co. Cork.